Marina de Lagos is located on the Bay of Lagos, among the best beaches in the Algarve. It has total protection from the sea conditions as well as is surrounded by an extraordinary environment of beauty and history. Lagos is a town in southern Portugal’s Algarve region known for its 16th-century walls enclosing the old town’s pretty, cobbled lanes and picturesque piazzas and churches, cliffs and fabulous Atlantic beaches. 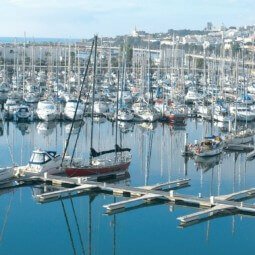 The marina‘s geographical location, in the southwest extreme of Europe, is the ideal starting point to explore the Atlantic and Mediterranean routes. The clear and calm waters, as well as winds from the North during the summer months, make the Lagos Bay one of the best places in the world for sailing. 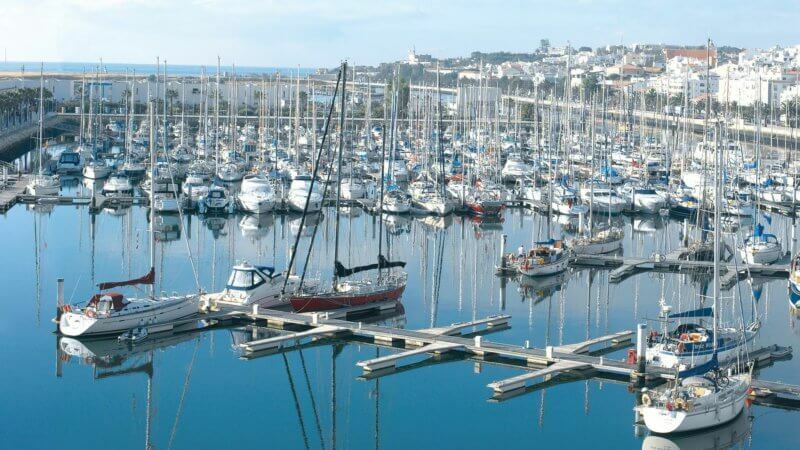 Marina de Lagos high-quality standards have been internationally recognized through various awards, such as the European blue flag, the Euromarina Anchor Award, the TYHA 5 Golden Anchors and 3 Stars of IMCI.